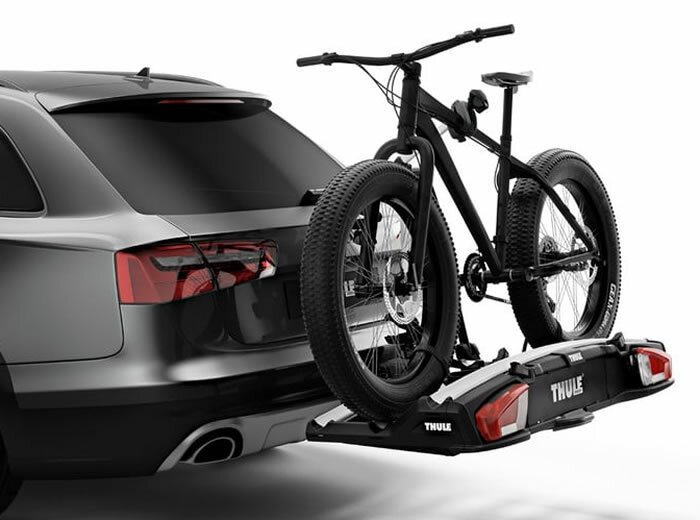 The Thule VeloSpace XT has been developed for large and heavy bikes such as e-bikes, fatbikes and downhill mountain bikes, although it will also work well with city bikes and children's bikes. With different models and adapters to carry from 2 to 4 bikes of all styles. All thanks to the carrier's high load capacity, extra large distance between the bikes and extended aluminium wheel trays together with flexible pump buckles and extra long wheel straps the VeloSpace XT is the complete package. Available as 2 bike (938), 3bike (939) which can be extended with additional bike carrier (938100). Fully loaded VeloSpace 939 holds up to 4 bikes when used with the 938100 4th bike adapter (subject to tow bar rating). 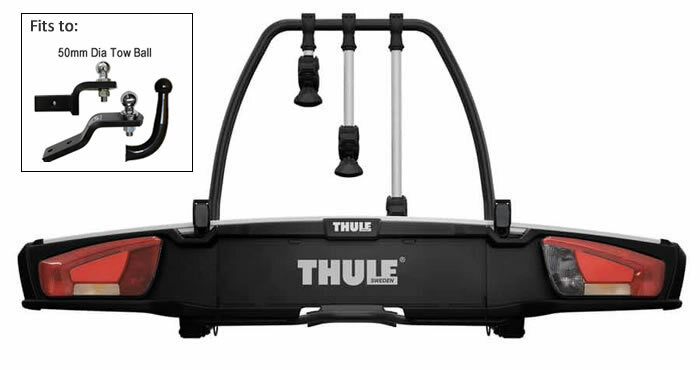 The Thule VeloSpace XT bike carrier has a massive 60kg rating (30kg max per bike) which makes it ideal for carrying heavy electric bikes. With the addition of extra long straps (985000) fat bikes can also be carried. 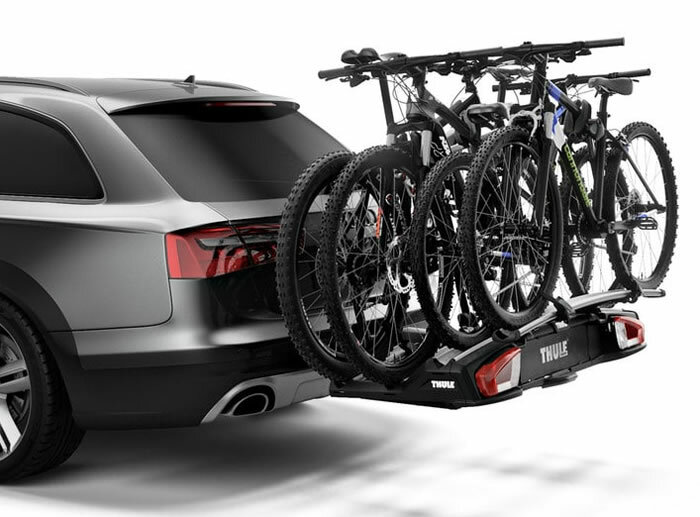 The carrier can easily be tilted away from the car to access the boot with the bikes still in place with a simple foot operation. The one-hand-coupling requires a very low closing force while giving the highest stability and safety possible. Attachment to the tow ball takes seconds. 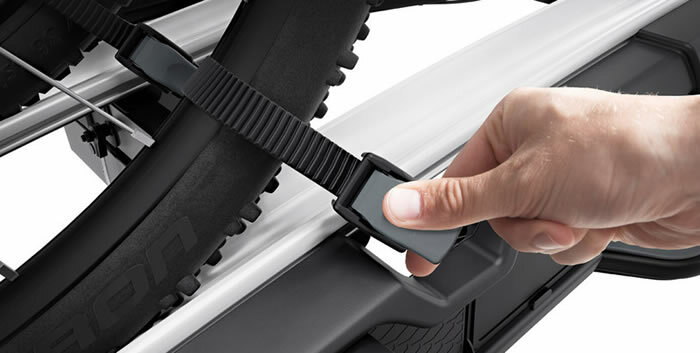 Quick release wheel fastenings securely restrain wheels up to 4.7 inches. 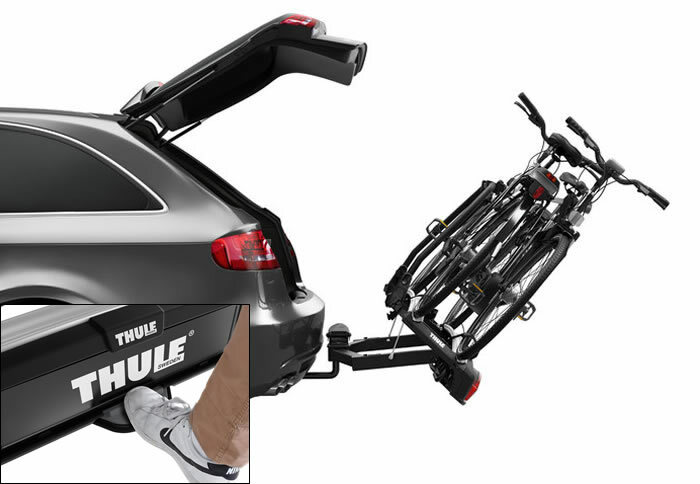 All the Thule quality and innovation you could want for heavy bikes with an awesome tilt feature and easy clamping to the towbar.